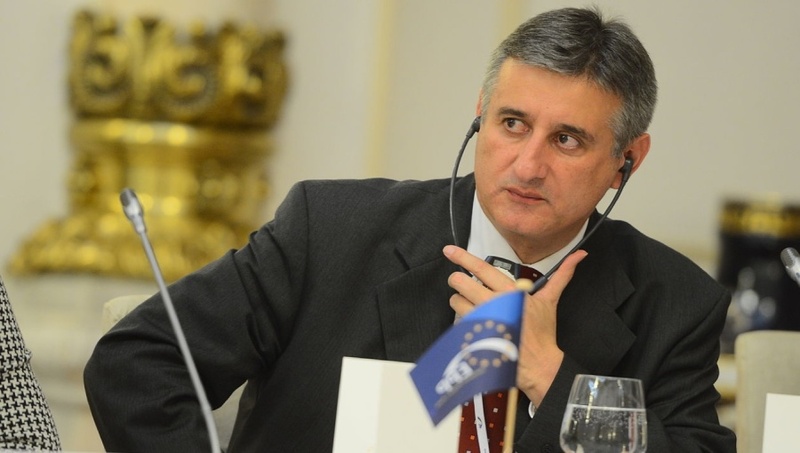 Regular readers of this blog will know that the Croatian Culture Minister Zlatko Hasanbegovic has had to endure incessant attacks since he was appointed a minister in the new Croatian government over his position as a historian on WWII Croatia. His views are severely criticised, painted as revisionist in the utmost of negative connotations and the criticisms have rendered much of the worldwide media an orchestrated series of attacks using utterly ugly and unfair hate speech. But criticisms did not stop at attacks via the media – and although communist rattles such as Efraim Zuroff from Jerusalem based Simon Wiesenthal Centre have sought that the minister be removed from his post, some more known personalities recently also wrote an open letter seeking Hasanbegovic’s dismissal as minister. “The call (open letter) has received large international support from prominent figures, members of civil society and the world of culture. This support represents 35 countries, who call for revisionism and genocide denial to be removed from the heart of the Croatian government,” wrote EGAM.eu (European Grassroots Antiracist Movement) on 24 May 2016. 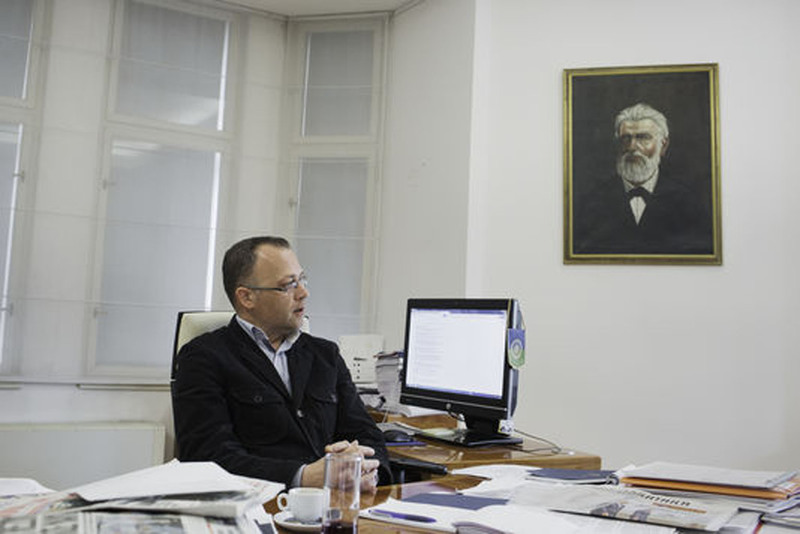 It appears quite extraordinary that an organisation that “prides” itself on fighting against racism, such as EGAM, actually condones and fuels racist attacks and abuse against Croatia’s minister Hasanbegovic, whose political plight and agenda heavily rests on determination to finally achieve justice for the victims of communist crimes in Croatia during and post-WWII. But, looking deeper into EGAM, it looks more like a political arm for the defence and justification of communist crimes rather than an independent body truly fighting racism in any of its forms. The internationally leftist flavoured call to rid Croatia of its minister Hasanbegovic, EGAM writes about, was first published 23 May 2016 in Libération, a the French far-left newspaper. “Mr. Hasanbegovic uses the evidence of crimes committed after the World War II as a point of identifying anti-Fascism as Communism, which is inadmissible,” writes Libération. What Hasanbegovic actually said on the topic antifascism/communism was that communism (as in Yugoslav communism) was not antifascist, that is, that to the communists antifascism was nothing more than “a mask behind which historical intellectual, philosophical, political and human shame of communism is hidden, but also the weapon for restraining everything that did not comply with the communist idea of proletariat world dictatorship.” This of course is quite different to what Libération would perhaps like us to see. Libération brands Hasanbegovic as revisionist and writes that one of Hasanbegović’s first moves was to abolish the Commission for Non-Profit Media – which was in the hands of leftists, according to the Minister – and to get rid of “critically-minded journalists” on Croatian Radio Television. Cutting government funding to useless non-profit media or NGOs whose functioning goes against their own purpose – for which they received government funding in the first place – is not a move of a revisionist but a move made by numerous government everywhere with view to bringing order in government subsidy schemes. With the public space cluttered by too many media outlets in Croatia it was about time the government started cutting some from its own purse and allow these non-profit media outlets to fend for themselves and turn into profit media, as public media mainly should be. As shown on the egam.eu website the open-letter in Libération against Croatia’s minister of culture was signed by a string of personalities such as the Italian Marxist theoretician Antonio Negri, conservative French philosopher Alain Finkielkraut, Italian Nobel Prize for Literature winner Dario Fo, “Nazi hunters” Beate and Serge Klarsfeld, and others like human rights activists, artists and – unbelievably – Michael Danby, a Labor Party member of Australian Parliament for Melbourne Ports! It appears this was the only parliamentarian on the list of signatories and an Australian taxpayer, the Australian Parliament, the Croatian Parliament… must indeed ask the question as to why a Member of Parliament (Australian) would sign a letter as Member of Parliament seeking to oust from office a minister of a friendly country (Croatia)? Such behaviour of blatant hate attacks by a Member of Parliament against a Member of Parliament of a friendly country, outside official Parliament business to boot, must not be tolerated and should be condemned, severely sanctioned. The open letter maliciously stated, “Zlatko Hasanbegovic exploits violence of totalitarian regimes to discredit the struggle against fascism, which he insidiously mixes with the crimes of communism, which is a distortion of the truth. He was not chosen for his competences in the field of culture, but to promote the ideology he represents. In his speeches and publications, he puts into doubt historical truths and basic values of our political union”. What an abominable attempt by the persons signing the open letter to deny victims of communist crimes justice. Hasanbegovic defended his positions by answering to these attacks in an interview with French Le Monde newspaper published 25 May 2016, which are according to him a “cultural war” led by leftists and liberals exercising a cultural and social hegemony without taking into account the end of communism. “You are very criticized by cultural, thousands of artists ask for your resignation, is this not a problem?” asked Jean-Baptiste Chastand of Le Monde. “I was criticised by some of the cultural and artistic community, but I am sustained by another. I have to deal with a kind of cultural war. In our post-communist society there are indeed still divisions on interpretations of the past, including Yugoslav. But in my case, part of a courteous and civilised debate has been exceeded. There is a hysteria, a smear campaign, from a pseudo-left that continues to exert a kind of cultural and social hegemony without taking into account the fall of communism,” replied Hasanbegovic. “This is completely unfounded nonsense” said Hasanbegovic defending himself against these attacks. “I am surprised by the superficiality of people who allowed to be pulled into a smear campaign launched by armchair critics from Zagreb without ever reading any of my statements, articles or books,” he added during Le Monde interview. Hasanbegovic says, for Le Monde, that his work aims to get rid of the remains of communism, in a post-communist country, still infiltrated by “a pseudo-left that continues to exercise a cultural and social hegemony.” Accused to have pushed to resignation the president of the Agency for Electronic Media and the president of the Croatian Television, he denied his involvement in these resignations and recalled that both of them were influential members of the former Yugoslavian communist party and that it was not acceptable that they were at such posts. Furthermore, in his interview for Le Monde, he was asked to explain his positions regarding the WWII pro-Nazi Ustashi regime – active between 1929 and 1945, his ties to Alain de Besnoist and Tomislav Sunic – associated with “new right” movement in the EU, and his ties with nationalists. Finally, he needed to answer to the accusation of revisionism. On Alain de Benoist and Tomislav Sunic, Hasanbegovic said that Benoist is one of the greatest French intellectuals alive, whose many works have played an important role in his own intellectual formation, and that Sunic did important academic work, even if he does not agree on everything with him, but does respect him for his academic work. Regarding his links to nationalists, he simply explained his love for his country, and added that he was honoured to be in associated with the people who fought for his nation. About revisionism, he explained that his work to honour the Croatian victims and the national martyrs is not in any way a minimisation of the suffering of the other victims of WWII, such as Serbs, Jews or Roma. He simply recalled that the Croatian victims are the only ones who have not received enough consideration until now, and that it was his priority to ensure they receive due consideration.